Few pundits have defended Benjamin Netanyahu's by now infamous claim that a Palestinian leader gave Adolf Hitler the idea of exterminating Europe's Jews. One exception is the right-wing British columnist Melanie Phillips. Writing in The Jerusalem Post this week, Phillips contends that the Israeli prime minister was "fundamentally correct." As "support" for her assertion, Phillips refers to a statement made by Dieter Wisliceny, an associate of Adolf Eichmann, the Holocaust's architect. During the 1946 Nuremberg trials, Wisliceny alleged that Haj Amin al-Husseini, the grand mufti of Jerusalem, was "one of the instigators of the systematic extermination of European Jewry." Phillips neglected to remind her readers that Netanyahu himself had cited Wisliceny last week while the prime minister was trying to "clarify" his accusations about the mufti. That damage limitation exercise had been criticized by historians and even by hawkish media outlets. The Times of Israel, for example, states: "It is not some, but rather most, serious historians who doubt the veracity of Wisliceny's account." That website quotes "Israel's preeminent Holocaust scholar" Yehuda Bauer, who pointed out that the mass killing of the Jews had already been underway for six months before Hitler met the mufti in 1941 and who called Netanyahu's version of events "entirely baseless." By coincidence, I found some fascinating papers about the mufti in the UK's national archives a few days ago. In an October 1936 letter, Arthur Wauchope, then Britain's high commissioner for Palestine, signaled there were differences of opinion between himself and John Dill, the newly-appointed commander of British troops in Palestine, over whether or not the mufti should be deported. "Children, savages and RAF [Royal Air Force] intelligence officers love creating bogies," Wauchope wrote to the Colonial Office in London. "They are now getting Dill and others to believe that the mufti created, organized and was solely responsible for keeping going the strikes and disorders." Wauchope was alluding to the Palestinian Arab revolt which kicked off that year. A general strike in April 1936 was called without the mufti's involvement. It was only afterwards that he assumed the presidency of a committee bringing together the various Palestinian Arab political factions. The administration led by Wauchope behaved in a brutal manner. By ordering the large-scale demolition of Palestinian homes -- notably in Jaffa -- it ushered in a form of collective punishment that Israel still practices in 2015. Despite how he downplayed the mufti's role in the revolt, Wauchope regarded al-Husseini as a bitter foe. In the same letter, Wauchope complained of the mufti's "hatred of Zionism" and expressed a desire to "clip his wings." 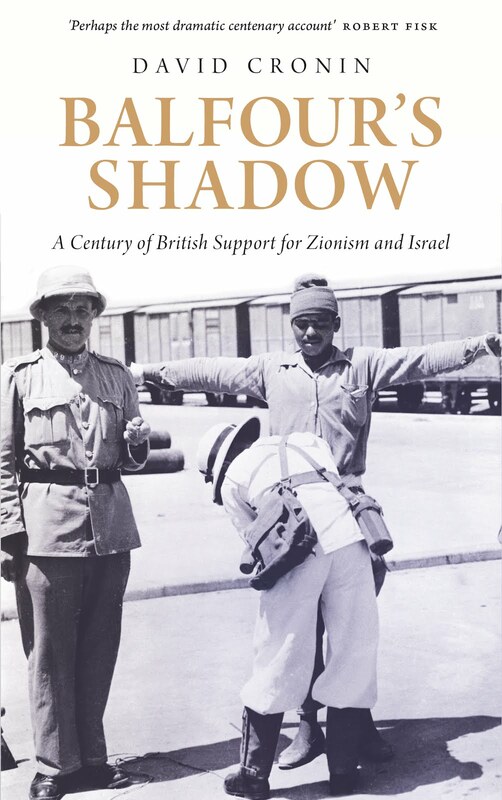 Less than a year later, Wauchope relayed to London a request that Britain "took some action against this Frankenstein monster created by Samuel" (Herbert Samuel, the first high commissioner in Palestine, had appointed al-Husseini as mufti). Yet what struck me about Wauchope's papers was how he recognized as early as 1936 that the mufti had become a bogeyman. By blaming al-Hussaini for the Holocaust, Netanyahu therefore seems to be following a trend set by British imperialists. Netanyahu's lies are too much for Israel's scholars to swallow. But that does not negate how the mufti has long been Israel's bogeyman. I noticed such a distortion of history on my first visit to Palestine in 2001. On that occasion, I accompanied an EU "peace" mission on a trip to Yad Vashem, the Holocaust museum in Jerusalem. There, I was astonished to see a whole section devoted to the mufti's brief encounter with Hitler. Although my knowledge of Middle Eastern politics was superficial at that time, I knew enough about the Holocaust to discern how something that should really be a footnote had been elevated to an event of central importance. The Palestinians were being held responsible for the crimes of Nazi Germany. The demolition policy that Britain introduced has been invoked by Israel as part of its mythmaking over the Holocaust. In 2009, Avigdor Lieberman, then Israel's foreign minister, tried to "justify" the construction of a Jewish-only settlement on the site of the Shepherd's Hotel in occupied East Jerusalem by pointing out that it once hosted the mufti's headquarters. Lieberman went so far as to instruct diplomats to circulate a photograph of Hitler's meeting with al-Husseini. It was a typically crude attempt to manipulate the past so Israel could get away with ethnic cleansing. Melanie Phillips last year urged Israel to think seriously about its propaganda. While visiting Jerusalem, she said that Israel was hampered by a "strategic failure on the battleground of the mind." Her willingness to applaud Netanyahu suggests that the truth has no place on whatever battleground she was talking about. •First published by The Electronic Intifada, 30 October 2015.